Today I want to make the case for one of the cheapest, most effect alternative to shampoos that I know! (Imagine a cheesy 1950’s advert here with me holding a tub of baking soda.) “Use Baking Soda for hair that is healthy, clean and shiny!” Lots of people ask me if baking soda for hair is a winner or whether it will destroy your beautiful locks. This is a big deal as it shows me that the world has moved WAY past the “Does it smell?” stage, which lasted about seventeen million years. (The stage, not the smell! Pahaha.) Now people have accepted that No Poo is officially A Thing and are getting down to the nitty gritty about what to use. AWESOME, WORLD! Go us! I am here to reassure you that baking soda for hair is a WINNER, people! It can really help make your hair healthy – if used in the right time and place. In fact, if you plan on giving up traditional shampoo baking soda has a crucial role. It strips your hair of nasty ‘cones (dimethicone coats your hair shaft and is present in almost every shop-bought shampoo bottle) – allowing it to become a good conduit for your glorious sebum. Baking soda in hair? Really?! Bicarbonate of Soda/ Baking Soda is the first alternative people who stop using shampoo turn to. This is because the mechanism between this ingredient and your hair is pure and simple. 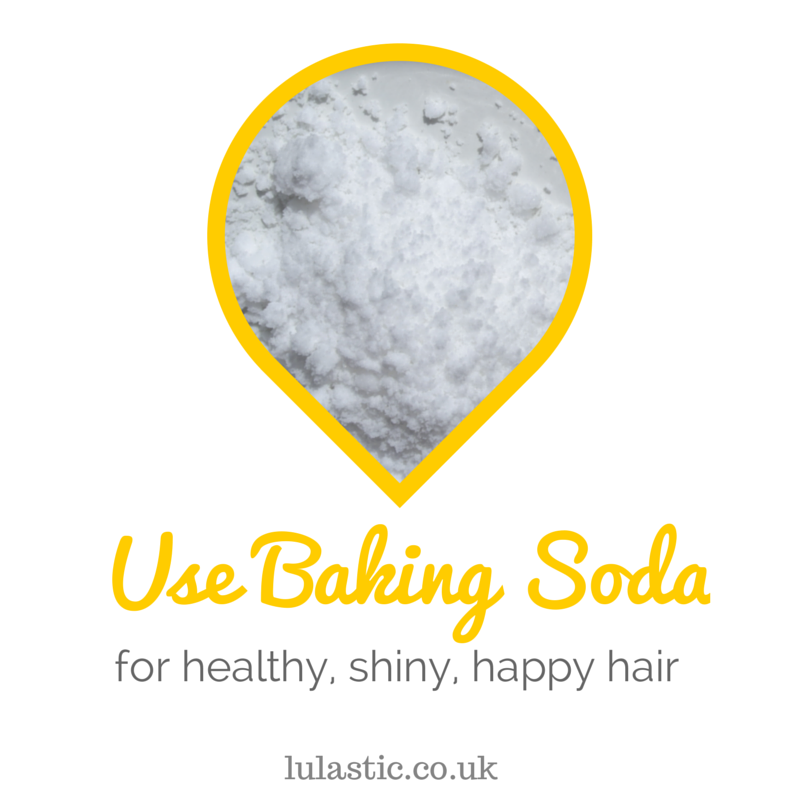 Baking soda effectively turns the glorious protective sebum of your hair (the bit that makes it looks greasey!) into soap. Sometimes when you use Baking Soda you can feel a slipperiness all over your hair- this is the saponification (soaping up!) in process. It is also the cheapest alternative (apart from water) you can use, costing about 2 cents per application. How do I use baking soda for hair? The internet is chockablock with the wrong information about this. Even my own blog has been there with the inaccurate info, when I was first starting out. This is because you use different amounts of baking soda at different times. To start off with you are really trying to strip out your hair of all the silicones piled upon each hair shaft- stuff inherent to most commercial shampoos. You will need a heaped table spoon of baking soda stirred into a cup of water and then poured onto it every section of your hair. You will leave it on for one minute, massaging it through. You will need to do this kind of wash at least 3-4 times at the start of your No Poo journey. Once you start heading through the transition stage you will gradually decrease the amount you use. Once you are through transition you will be using just 1/2 teaspoon in half a glass of water and it will be making your hair as clean as it was at the start. This is because your hair is clear of extras and the baking soda is working straight on your sebum. What will baking soda do in my hair? A successful baking soda wash will firstly make your hair SQUEAK with cleanliness as you rinse it off. Your hair will then be shiny, bright, and light. And gradually, as your hair gets more and more used to it, it will become less greasy. You will soon be able to go a week, possibly two weeks, even three weeks without using anything on your hair apart from water. If it is dull, waxy, heavy, flywaway or brittle then read on…. Why might baking soda for hair make it feel unhealthy and broken? 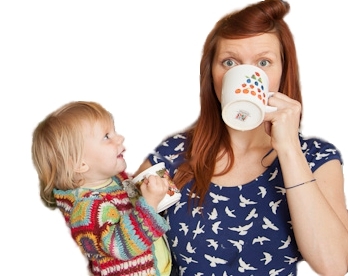 There are a few blogposts out there where No Poo-ers have suggested that Bicarbonate of soda have destroyed their hair. This is a bit of a bummer as I think as an entry No Poo ingredient Bicarbonate of Soda is the absolute business. (I literally buy it in bulk and use it for EVERYTHING! From deodorant to cleaning.) It is very hard to get wrong (unlike the egg, with which even the most die hard No Pooer has had a catastrophe with) and really truly gives a good clean up to every head of hair, particularly dealing with the waxiness of transition. Once you understand the science of No Poo (Gosh darn, I wish there was a simple and comprehensive guide to the chemistry of No Poo! Oh wait! What is THIS?! Oh hey there! There seems to be a best selling book that covers that… written by, erm, me!) it is easy to see that using too much baking soda will strip your hair of all of its sebum and the only place that will take your hair is to the Unstoppable Ferris Wheel of Grease Over Production – the very thing we are all trying to leave behind us. If you remove your sebum this effectively frequently your hair will keep producing too much sebum to replace it. Damaging the equilibrium of your hair this way will make it dry and brittle on the ends and heavy at the top. Just as you are trying to INCREASE the amount of days in between washes you should try and DECREASE the amount of Baking Soda you use. If you are already through transition and are using anything more than one teaspoon in a cup of water once a week than I’d suggest you are using too much. Use 1/4 teaspoon – 1 teaspoon for one wash and then use an alternative for your next wash. Ideally something with incredibly nourishing elements such as an egg. Every month or so you should so a moisturising head mask – either with heated coconut oil, or a mashed up banana or a mashed up avocado. Try to nail the water only wash. Use hot water to massage into your scalp, scrubbing out the sebum down through your hair shaft to the very ends of your hair. Then scoot your hair under a cold rinse. The colder the better. Hollering allowed. Towel dry – hefty rubbing also helps. Use a water wash instead of another baking soda wash. If your hair is waxy be assured this is a natural part of transition. There comes a point when not even BS can shift the wax. For this you need the super sonic combo of egg, lemon and white vinegar – a mask that will hit reset for your hair, shifting all the wax. YESSSS! If you want to experiment with alternatives to baking soda, I have done a bunch of hands on alternative shampoo research here and have also come up with three gorgeous homemade shampoos that bring together some of the most nourishing ingredients for healthy, shampoo free hair. And if you are serious about cutting down on traditional shampoo, do consider buying a Boar Bristle Brush. The best boar bristle brush for you depends on your price range and hair type. I use this Kent brush, they’ve been making them since 1777 and i inherited this one from my Nana, but the Moroccan Oil and Christophe Robin brushes here are pure boar bristle too. They are pricey but consider it an investment in natural beauty that will last your lifetime! I hope this has answered all the questions out there about using Baking Soda for hair. 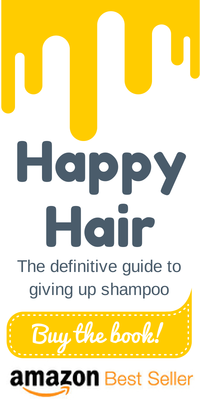 Now, if you want to know all there is about giving up shampoo successfuly, I reckon you could do with my my ebook, Happy Hair: the definitive guide to giving up shampoo. You know what? Read my ebook and you will be the President of No Poo University. Actually, can I be president? You can be the librarian. All the recipes mentioned briefly here- the conditioning masks, hot oil treatments and Wax Tackling egg combo are in there. As well as suggestions for dry shampoos and loads of tips about getting through transition. 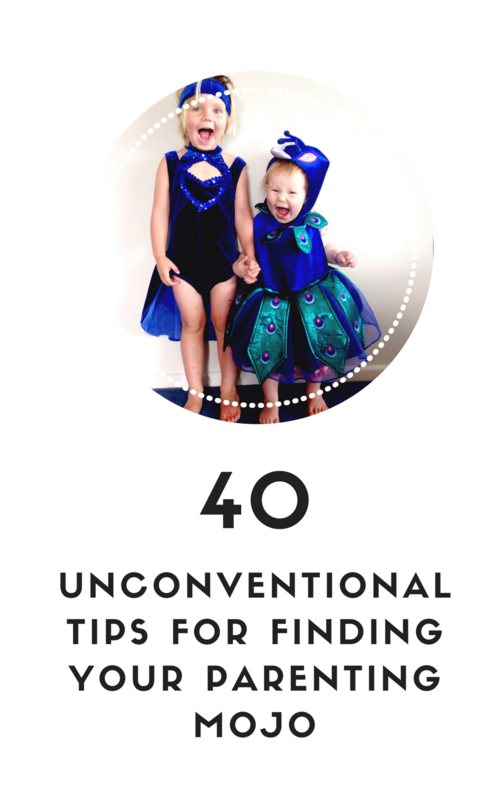 It is designed to be a reference point for all the tricky stages of your No Poo journey. It is available here in every country and currency and it downloads on to all computers, Kindles and E-readers and is also ready to print, if you like something in your hands. All for a few buckeroos. 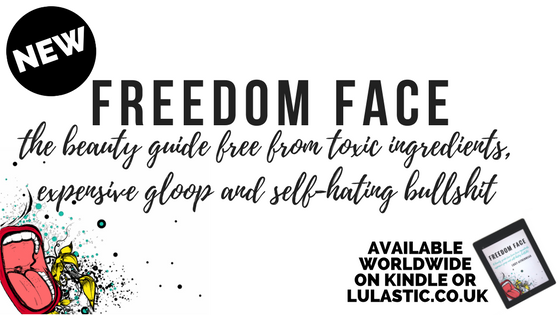 *BREAKING* I have recently released a brand new Amazon bestseller, Freedom Face – a whole body beauty guide free from toxic ingredients. Discover how to clean, moisturize and care for your body naturally. Loaded with homemade recipes for mascara, deodorant, lipstick, body scrubs and many other products, often using secret ingredients hidden in your home! 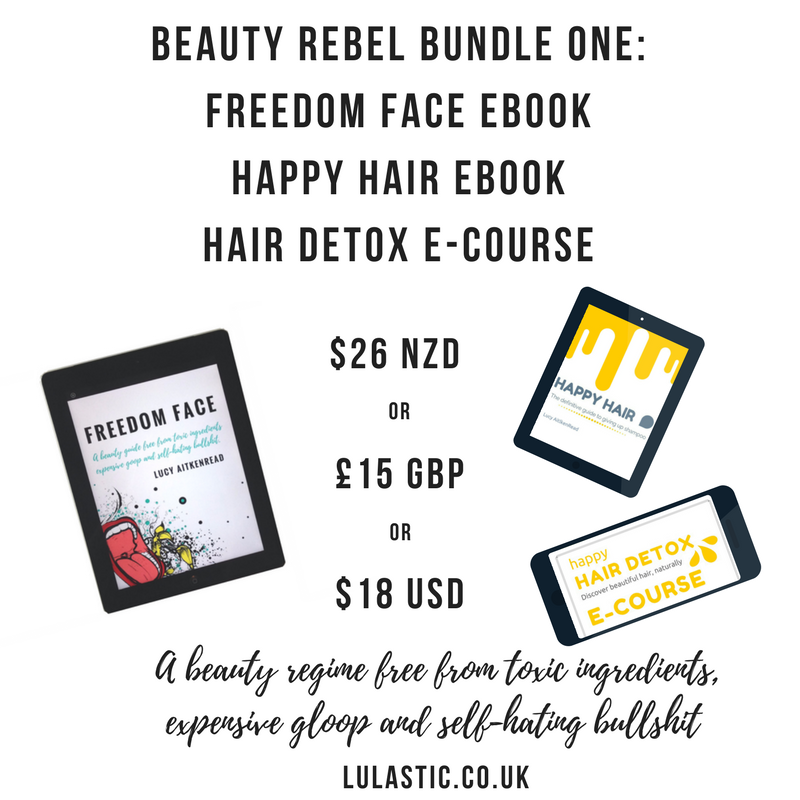 If you are interested in both books, can I offer you my Beauty Rebel Bundle One, it includes both my e-books, Freedom Face AND Happy Hair AND access to my Hair Detox e-course which is packed with video tutorials and worksheets to really help you get to grips with your natural, shampoo free hair. Sending love and courage to you for this wonderful, self-loving, toxic-free journey! I am six weeks in and at the super waxy nothing with shift it stage in the length of my hair! I have the book but any find the egg/white vinegar/lemon combo recipe, what page is this on? Until I read this post I was thinking I would need to call it quite today, my roots are super squeaky clean but I can’t wear my hair down as it is so clumpy and sticky! This recipe may be my lifesaver!! This was actually my life saver!! My hair was so soft and so clean after!! Only one issue, i got very hot running around at work and my hair definitely smelt quite strongly of egg! I felt like I rinsed really well but is there anything that can combat this!? I beleive they are totally different – one causes something to rise when you bake with it and the other doesn’t. In UK baking soda is called Bicarbonate of Soda. But in America and NZ/ Australia it is called Baking soda. Pretty confusing! I assume you have a section on color-treated hair? There IS a paper version! On Amazon. But it is expensive and i get about 20 cents from it! Way better to get the cheaper PDF and print it – it will be 30 double sided sheets 😀 And small bit on colour yes. 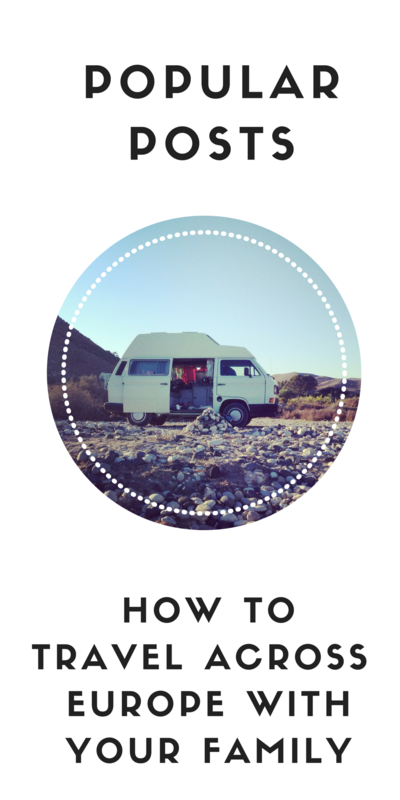 @Janine, the ebook is delivered as a .pdf – all you have to do is print it off from your laptop. 😉 It’s not hugely long so is not a big hassle to print or anything. You have a great blog, however I am a little confused, I understood you were supposed to use a dilute vinegar rinse on your scalp after baking soda to reset the ph after the alkalinity of the baking soda, but you say to just use a little acv on the ends. The impact of pH levels on hair is this.. a more alkaline rinse sort of scuffs up the the scales on your hair shaft, making hair dry and staticy- an acidic vinegar rinse essentially smooths them down. Rinsing off well with water will mostly get your pH level back to normal, particularly if you haven’t taken out all your sebum etc. However our ends seems to need more help with this – hence the acidic rinse. Personally, if I do an acidic rinse on the top of my head it gets so smooth that it looks almost damp. That is the main reason people don’t tend to chuck it all over their head. But see how you get on! Phew, hope that explains it? V late here! You are so right about using too much bicarb. I’ve been no-poo for just over a year now (actually, since just after I found your blog!) and for a long time I was finding my hair pretty waxy. So I kept upping the amount of bicarb in a the-more-the-merrier sort of way but it just got worse. Then I read your book and I dropped the amount it to 1/2 – 3/4 tsp each time and it’s way better. Still not perfect but waaaay better. I’ve read that if you have hard water then you should use boiled water to wash your hair, does that mean just for the stuff you make up the bicarb mix with, or for rinsing and all, because I don’t think I could boil enough water for the rinsing bit…? Just one more question, o guru, I’ve been using coconut oil after washing when the hair is dry as a conditioner / anti-frizzer, and I want to dry an over-night leaving-the-coconut-oil-in sort of deep conditioning treatment. I’ve done it twice before (stupidly on school nights,) and the next morning I couldn’t get the stuff out without resorting to some of my left-over shampoo (oh the shame!) How do you get it out without resorting to the dreaded fragrant foaminess? Rosealys recently posted…On and off the needles. Oh, a bicarb paste couldn’t get it out? I have had success with that. Keep up the great work, Lucy! Hi I stumbled across this on Pinterest. You are so convincing!!!! Straight away I bought your book and today I am on day one!! 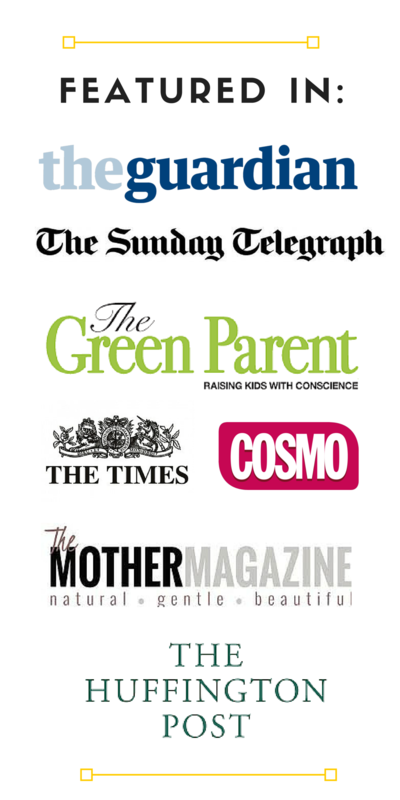 Just wondering where YOU buy your aloe Vera juice and gel, coconut oil and essential oils from? from this article I’ve realized I’m using too much baking soda, for some reason my brain went at the science arse about face. I thought you increased the baking soda instead of reducing it, lol. I think I might have put myself back to square one and after the 8 weeks of smelliness, oh the torture, well not quite. I’m lucky I don’t live with anyone [other than my son] and I hardly socialize so the world really is a better place because (a) I’m more eco-friendly and (b) they don’t have to encounter my eco-friendly attempts, yay!! 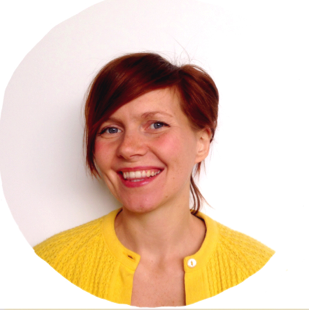 Hi – I’ve been poo free for almost two months now and I love it! Being a thrifty New Englander I decided to use my old shampoo to clean the china sink in the bathroom. Yikes! While washing said sink with a small sponge, my hand started getting REALLY ITCHY! And I thought “No wonder I had an itchy scalp all these years!” Great improvement on that aspect. Thanks so much for your book, which, by the way is hard to purchase in New Zealand. (I got my copy from the library). Keep up the good work! Cheers, Penny B.
I reaaally want to buy your book, but i don’t have a CC. Would you put it up on google play store? That’s the only place my father would use his CC online. Thank you. I used baking soda on my hair and it absolutely destroyed and fried it. My hair began thinning and it has been thinning for 8 months, it super dry, damaged and the texture is completely different. I have been get frequent short hair cuts, but the hair will not stop thinning. Is there anyway to reverse this problem. Yes, it will a little. I find anything does that, but bs and anything acidic especially so. Estou no começo, quanto a retirar o uso do shampoo da minha rotina, e seguindo firme e forte. 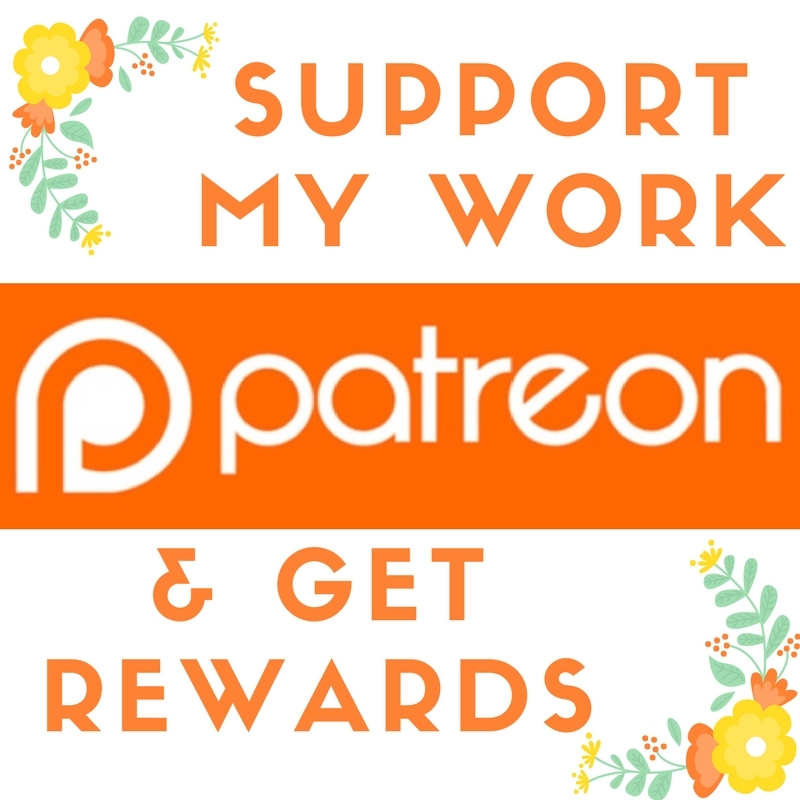 Seu blog tem ajudado muito. Parabéns pelo trabalho! Mesmo achando o cabelo estranho (por estar no começo[menos de um mês]), irei continuar sem o uso e optando por alternativas saudáveis. HUH! I have read about and have been using baking soda for shampoo for a couple of years. However not until today reading this blog was I aware that saponification is happening. I did some more research to verify, and it is indeed the case. If this helps anyone, I’ll also point out that before Baking Soda, I was water only when I had shorter hair and only started using Baking Soda when water alone wasn’t getting enough oil/sebum out. Hey Lucy, I happened to have to used to much baking soda on my hair. About two years ago I washed my hair with about 3 table spoons and half a cup of water, I completely misread someones instructions and it completely destroyed my hair. The weird thing is my hair has been destroyed for about 2 years still, I have had like 30 hair cuts in between and my hair is still insanely dry, brittle, thin,fine and stringy. Could this much baking soda have cause permanent hair damage to the scalp or hair follicles. Would my scalps pH have balanced out by now, or if not would this possibly be fixed by washing with ACV. I have had my blood checked multiple times and dermatologists don’t think I have MPB. I definitely think my on going hair problems still comes back to the baking soda! Wow, that sounds intense. And like a pretty awful experience. I have read an awful lot about hair, but I still can’t give you a definite answer, but from what I’ve read, you can’t damage your hair permanently from applying something to it. Have you had a change in water source since doing it? Or a change in diet? What were you using before baking soda, and what after? Can you try and treat it with some oils, regular argan etc? Can’t be the water source since everyone else in my house is okay. Diets been pretty good. Just normal shampoo and conditionner, yeah I could try some oils. I tried that for about a month a year ago and didnt seem to do anything. My hair just seems to keep growing in very damaged and the way it was the second I rinsed my hair with the BS. Ah, that is such a shame! I recommend (it’s obvious) ditching the normal shampoo and conditioner and trying some gente alternatives such as rye flour (see my other posts or my whole other website happyhairguide.com for other alternatives) People find their hair becomes far more healthy. Hope it works for you! a year later my hair is still ruined. After the baking soda rinse my hair fried and became insanely thin and has never returned. I assumed the pH would go back to normal eventually. Is it possible for baking soda to permanently damage the hair cuticle, something is prevented my hair from growing back to the way it used to be. I thought maybe it was MPB but it immediately thinned out all over massively after the rinse and never returned rather than being gradual. Have you had your thyroid checked? Baking soda wouldn’t cause thyroid problems, but it could have damaged your existing healthy hair, thereby exposing the thyroid/hair problem. Do you think if I rinsed with Apple Cider vinegar it could completely fix my scalps pH or does it naturally resolve over a long period of time? Even using ACV is a long term thing – reckon on scalps taking 1-6 months to completely regenerate? Jack, food for thought… maybe speak to a hair specialist about this and see if there is a link between the bircarb possibly affecting the sebaceous glands in each of the hair follicles. I understand for most, the BIcarb works well, and periodically others have damaged hair. If the hair has not grown back healthy, it’s obviously happening at a follicle level… and the sebaceous glands are responsible for the oil production that coats our hair. Perhaps they could suggest a treatment based on that line of thinking. Hi! I am trying to go water only, but given that I have crazy curly hair, I decided it would be best to start off with BS and ACV wash. I know the goal here is to coat my hair in my natural oils to get the final beautiful result– but will my natural oils still coat my hair down to the tip if I am not using JUST water? Hi, I used baking soda in with my shampoo this morning like my hair stylist recommended. And it absolutely feels like it dried it out. Which is what I was trying to fix. My ends seem to stay super dry, but now it feels super dry from my ends halfway up!! Could even get my brush or fingers through it. Wet or dry. I am devastated over this. Do you think using coconut oil all over will help restore it or do I just need to get it cut?? Please help. Hi! Your hairdresser suggested putting BS in your shampoo? That seems kinda… odd. Especially if you have dry hair! it is redeemable. Use a beautiful nourising mask, like an avocado mushed on or a lot of coconut oil. Leave it on for two hours and then rinse out with warm water, mix up 3-4 egg yolks, wait for your hair to cool and then add the egg yolk- try and cover every strand of hair. Leave for 15 minutes, rinse off with col cold water, add a little lavender oil if it still smells of egg the next day (it really shouldn’t!) This will really condition your hair! Did you rinse with ACV? It is such an important step as it brings your hair’s PH levels back to normal – using BS lifts up all the scales on your cuticle layer. But i was reading in internet and some of them saying is dangeros if i used more twice month baking soda for washing hair. im not sure what to do , to continue twice a week ore not ? It can be quite harsh? Try some of the shampoo alternatives- they are AMAZING! at times more so can it prevent dandruff? If you have dandruff I would check out rye flour shampoo – i have a recipe on this post! google lulastic dandruff rye flour! Hi Lucy, I feel embarrassed to ask because you obviously have lovely clear luminous skin – but, do you have any opinions on whether going no-poo can help with acne? I’m in my mid 30s and still have it – gross I know, and I’m literally at the end of my tether with it, I’ve tried everything over the years. As a last resort I want to try no-poo in the vain hope that going completely chemical free might help both my greasy hair and awful skin. Is this a really bad idea?! I really enjoyed your blog! Thank you for all of your quality info! I plan to read your book too! Question, pre- no -poo I began using BS mixed with coco to help my extremely oily hair gonlonger between washes. I love it!! More than I’ve ever lived my hair. Now I have started BS wash and ACV rinse. Every 7 days? Is it too much BS to add BS and coco on day 2? Then it usually last until I’m ready to wash again. Thanks for the tips!! Hey wat happened is… I applied 3 spoon of baking soda n left it for three hours and now my hair has become so so dry 🙁 (I can’t explain how much dry it is) I’m very scared not getting what to do. Pls tell me something which I can do at home n bring back my hair condition . All I can recommend is to do some intense procedures to get the moisture back in – do some oil masks weekly. I’m desperate, I need an answer quickly. Here’s my issue: I used baking soda and water and didn’t rince it with apple cider vinegar, but cold water. It didn’t dilute and it was like a “mask for hair”. I applied it on my hair and now, I have tons of residue from the baking soda. I can’t wash it of 🙁 and it looks like dandruff. How do I get rid of the residue? Hello. Have you washed again? it should always dissolve? Try brushing out too. Yes I washed again a lot. There’s still residue but less. (I think I should stop using hot water) Plus, my hair has been breaking and a lot of my hair fell off my head. Hello, nope, it has to be stirred into water. Thank you for all your help, to us as women, as mothers an for to make a better world for our childs. I follow your blog a couple a years ago and I love it (I give up shampoo with your book 🙂 ). I am from Bolivia and i am sure that all the latin pole will love to follow you or at least, buy your books, wich are not in spanish. If you like, I could help you to translate your books (no cost) with the same passion you put in your text. I’ve been doing the baking soda and vinegar treatment for about a week, and I have noticed my hair is heavy at the top and brittle at the bottom. I will definitely try using less baking soda! As I have been putting a whole container and a bit of water in a jar and mixing that up! Oops! Thanks for the advice! and I purchased your book! Reading it now! Hi there – how do you keep your hair colour from washing out/fading? I’ve been using semi-permanent with No Poo method and the colour doesn’t last and my greys are showing…this is why I love the cocoa powder, corn flour and cinnamon dry shampoo as it helps with covering the greys! Any advice? What do you use on your hair for colour? What about using no poo to wash out the dye when I get my regrow this done? I’m concerned there may be a reaction between the baking soda and the dye. That should of read ‘regrowth done’. Cheeky auto speller. I’ve been doing the baking sofa wash now for around 3 months with good results! One question- I am going to the hairdresser for the first time since using BS instead of normal shampoo and the hairdresser would normally wash my hair before cutting it. Will it degrade the progress I have made if I allow the hairdresser to wash my hair with normal shampoo and conditioner 4 times a year at my cuts or should I ask her not to wash it? I have been diagnosed with a corn allergy recently and have been trying to cut out all corn based products. I read a suggestion of baking soda and ACV for a shampoo but I’m also allergic to ACV. I’m so excited to find your blog of just straight baking soda and water approach!! Do you need to use the entire cup of water and 1 tablespoon of baking soda the first 3-4 times on dry hair?? And how often do you use the mixture in your hair the first 3-4 times?? Hi there, this is my second attempt at no poo with baking soda, and I don’t know if I’m doing it right this time either. I tried my first wash the other night, and I rinsed for honestly five minutes but my hair is still super tangly and gritty/sticky feeling. Same feeling even after I rinsed with ACV. This is exactly what happened last time, am I using too much BS? I did a little over your rec because it was my first wash and my hair was very dirty. I don’t want to ruin my hair. Hi Lucy. When you say to use it 3-4 times at the start of the no poo journey, do you mean weekly or monthly? I’ve been using baking soda and ACV on my hair for 2 months and love it so far. The only issue is when I comb my hair my brush has a greyish/white gooey residue on the bristles and I have to wash my brush between practically every stroke. I feel like I’m rinsing my hair thoroughly enough. I don’t know what’s happening, any advice?? I’ve been doing this for months now and my hair has never been better! But does washing with normal shampoo and conditioner once in a blue moon upset the balance? If I want to get my hair cut, should I let them wash it with their products?